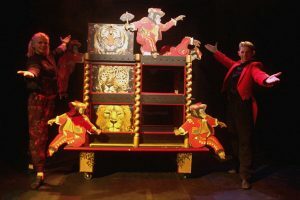 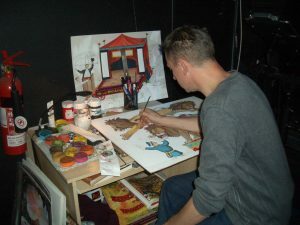 All magic props and illusions on this page have been designed, created, built and painted by hand by Richard Leigh over the last thirty years. 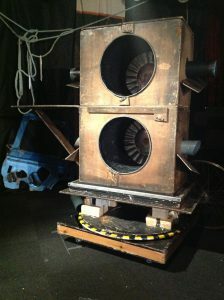 All props are in superb working order and many are still used in performance to this day. 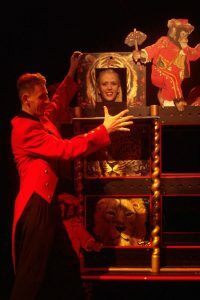 This extensive collection of hand made props are very unusual, highly decorative and themed. 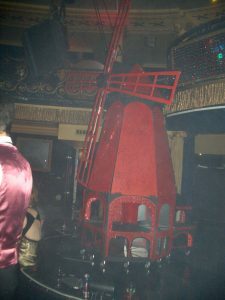 Moulin Rouge Windmill Production Cabinet of numerous dancers. 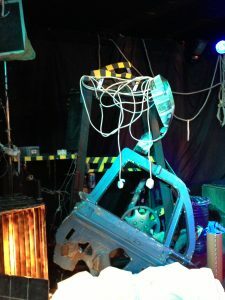 Build and presented for a charity event at the Cafe de Paris in London.